No other watch in the Rolex catalog exudes power and class quite like the President Day-Date. 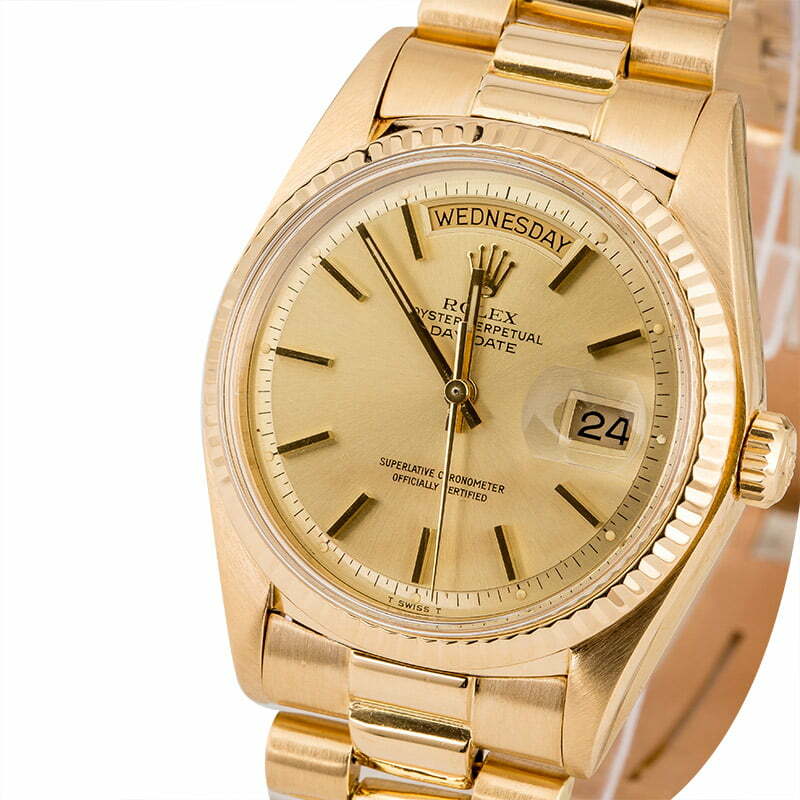 The Day-Date was developed in 1956 and was the first Rolex watch to offer an automatically changing date display on the dial as well as the day spelled out in full, At the time, this was a truly innovative feat. The line is always crafted from precious metal and wears on a supple President bracelet secured by a hidden Crownclasp, giving it bold, dress watch style. 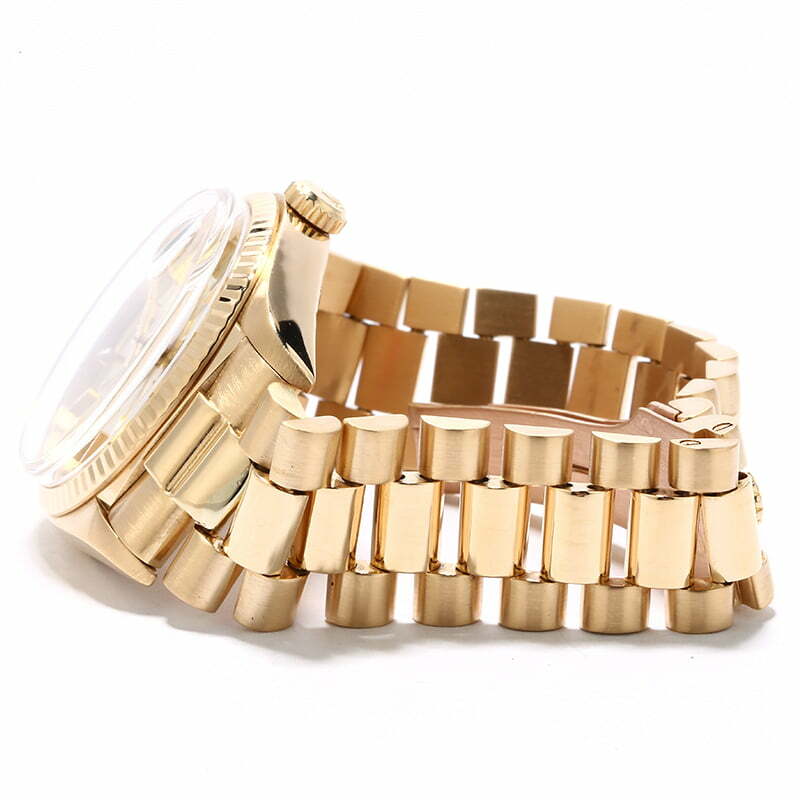 Early on, the Day-Date graced the wrists of many US Presidents, earning it the nickname the "President's Watch" and making it the watch of choice among powerful and influential men and women the world over. Vintage references, such as the used Rolex 1803, are also characterized by a striking Pie Pan dial and luminous material in a desirable patina.